MONTVALE, N.J., October 10, 2018 – Eduscape has been selected by the International Society for Technology in Education (ISTE) as the National Certified Authorized Provider for the ISTE Certification for Educators, a new competency-based, vendor-neutral teacher certification based on the ISTE Standards for Educators. This digital credential recognizes educators who understand how to use edtech for learning in meaningful and transformative ways. Eduscape was selected based on their expertise in providing technology-focused professional learning to educators across the country. We have been overwhelmed by the response to this new certification and are excited to be working with the Eduscape to prepare more educators to be ISTE Certified. 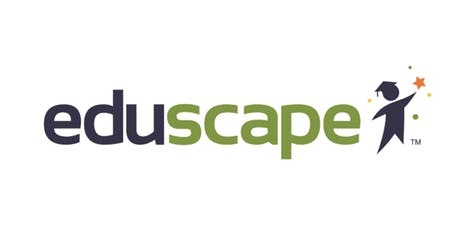 Headquartered in Montvale, New Jersey, Eduscape is one of the leading professional learning organizations in the country. Its team of experienced educators has developed and delivered professional development to over 600,000 educators and school leaders. The organization's expertise ranges from interactive technologies, classroom productivity applications to STEM Education. Eduscape is a Google for Education National Training Partner, a leading Microsoft Global Training Partner and the only privately-held certified provider of the ISTE Educator Certification. It has been selected by over 20 award-winning STEM product companies to develop their training academies. The company is also the professional learning partner for Common Sense Media, and it's highly regarded Digital Citizenship curriculum and programs. This November, Eduscape Global will launch at the China Education and Innovation Exposition to introduce Eduscape’s STEM Made Simple program to over 100,000 educators.